Worried about reaction from Southern television stations, show runners filmed the kiss between Shatner and Nichols — their lips are mostly obscured by the back of Nichols’ head — and wanted to film a second where it happened off-screen. 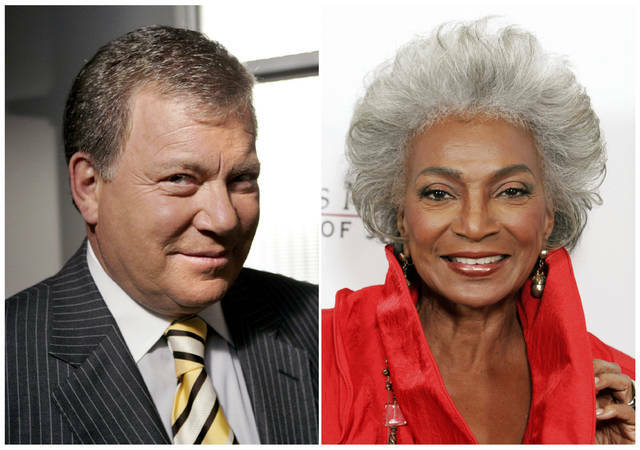 But Nichols said in her book, “Beyond Uhura: Star Trek and Other Memories,” that she and Shatner deliberately flubbed lines to force the original take to be used. Jesse J. Holland covers race and ethnicity for The Associated Press. Contact him at jhollandap.org, on Twitter at http://www.twitter.com/jessejholland or on Facebook at http://www.facebook.com/jessejholland .